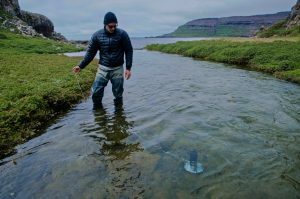 Since 2016, the Ocean Tracking Network and the Institut National de la Recherche Agronomique (INRA) have been collaborating on a study to understand the successful colonization of brown trout introduced to the Kerguelen Islands (southern Indian Ocean) in the 1960s. 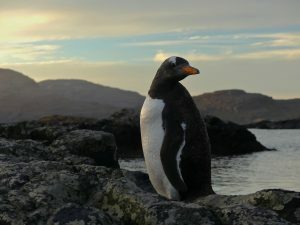 The project presents a unique opportunity to study large-scale colonization by a non-native species in the context of climate change and glacial retreat. 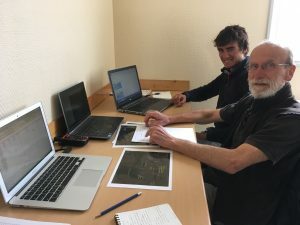 The first OTN-supported Kerguelen trip in 2016 sent former OTN masters student, Colin Buhariwalla, to the remote Kerguelen Islands to conduct preliminary tests and establish tracking arrays. 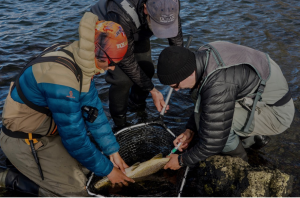 Over the next three months, OTN PhD student, Xavier Bordeleau, will be conducting brown trout tracking studies in partnership with the French Polar Institute (IPEV), and the Norwegian University of Science and Technology (NTNU). He documents his research and the rhythm of life on the remote Kerguelen Islands through photographs and journal updates. This is the final post of a truly amazing professional and personal experience that ends on the most positive note! Logistically, our research project was a complex puzzle, but despite the many challenges encountered in the past few years, it has been a great success! 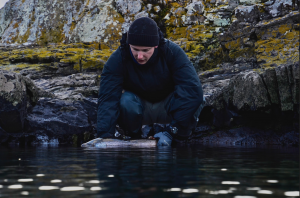 We have deployed 51 acoustic receivers to form the listening array and successfully tagged 50 sea trout, which are now swimming in the waters of the Kerguelen Archipelago, collecting precious information on the exploration behaviour of introduced sea trout. Here’s a summary of how it all went down. At 5 p.m. on Jan 23rd we boarded La Curieuse for a ten-hour transit to the study area located on the north section of the main island. A knock on our cabin door at 3:30 a.m. marked the beginning of our first day of receiver deployments. As darkness faded, the sky was clear and the wind was mild – a beautiful morning on La Curieuse! Pulling the zodiac out, grabbing gear and hopping aboard, this was a sequence we would repeat in the coming days. Receiver deployments from the zodiac allowed us to move fast and with great precision to pre-determined positions. 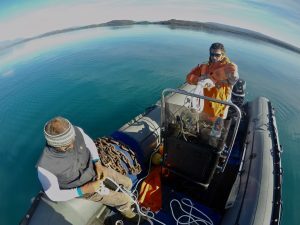 By the afternoon of our first day, we had already deployed 14 receivers (12 receivers at sea and two in rivers), covering the eastern part of the array. 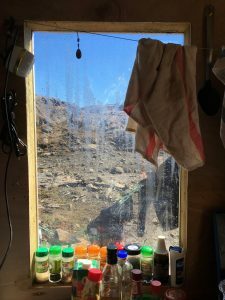 As nothing can be taken for granted in such a remote and wild area, and certainly not the weather, we worked as much as we could, eating and sleeping during transits. Moving into the western section of the array on Jan 25th and 26th, in which most rivers were not colonized when last monitored in 2010 or never assessed at all, we would also complete electrofishing surveys (non-lethal inventory method that is commonly used to study freshwater fish populations) in addition to receiver deployments. As such, we discovered with much admiration hidden water routes that very few people had visited. Narrow and swift passages opening into vast freshwater fjords or lakes, I will always remember Lac Victoria. It felt like noticing a hidden paradise with hundreds of Kerguelen shag (endemic cormorant species) nesting on the high cliffs of this large glacially carved lake. 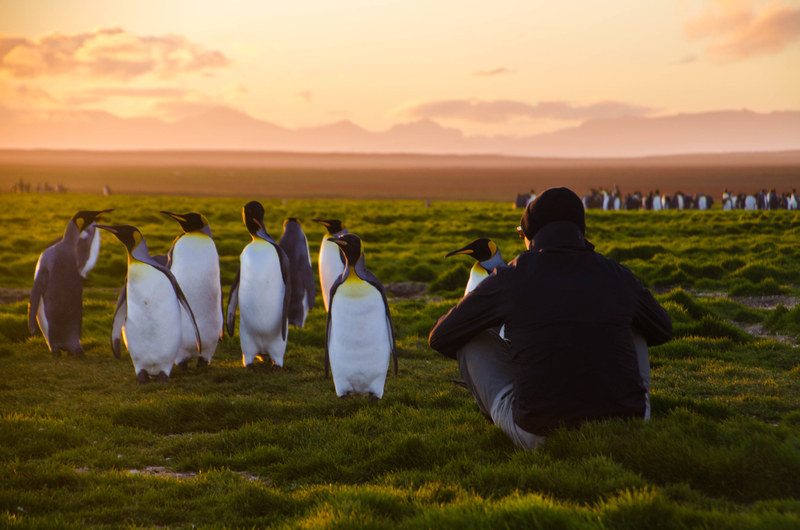 A pure moment of wonder that no photos or videos could capture, it just had to be lived and fully appreciated. I remember looking at Philippe and the only thing we could do was smile. The day after we moved to the northernmost part of the array and we discovered the presence of Salmo trutta alevin (but no parr or adult trout) in Cascade de la Lozère River – a sign that trout had visited the system and spawned there about a year ago. There definitively are some exploring individuals migrating this far in search of new spawning grounds! Thanks to good preparation, valuable assistance from the crew on La Curieuse as well as IPEV colleagues, nice weather and long days of work, we completed marine deployments in only three days – half of what we originally planned for. Things were going far better than we had anticipated and gaining extra days for tagging would appear to be vital! After a relatively short but intense period on La Curieuse, we were dropped on the south shore of Baie Irlandaise on the morning of Jan 27th – close to the outlet of Lac Bontemps to start tagging and complete a few more receiver deployments from shore. Once we had carried all the equipment up the gentle slope separating the coast from Lac Bontemps, we discovered our home for the next two weeks. 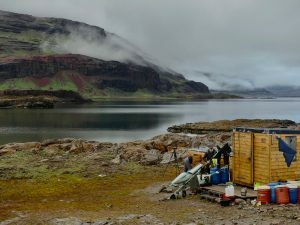 A tiny ~2 m3 wooden cabin serving as the common area for four, kitchen, physiology lab, and bedroom for two people, accompanied by two coffin-like individual “bedrooms” that were dropped on the lakeshore by helicopter a few years ago. As I would discover over the next few weeks, life in Bontemps is simple and rugged (e.g. washing in 6-degree water, no toilets, very little personal space, etc.) but the site is truly breathtaking. A beautiful and dramatic landscape. I have found life there to be a paradox between situations of confinement – occurring daily when four people are living a tight space – and moments of immensity spent working in grandiose landscapes. As for sea trout fishing, Lac Bontemps outlet and the adjacent estuary is a magnificent place. It’s a dynamic area that offers complex habitat structure for sea trout. And for us, a mix of delicate fishing in small freshwater pools, temporally targeting larger pools forming and disappearing in the tidal section, and making long casts and covering grounds at sea. Fishing was great during the first few days and we had tagged 22 sea trout (out of 50) in only three and a half days. 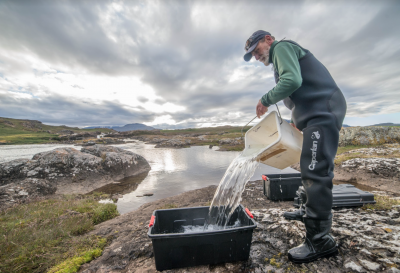 Although, the very first thing you learn about fishing is that it’s highly unpredictable, things were going so well that it was difficult to imagine not being able to tag an extra 28 sea trout during the 12 remaining days of the trip. But fishing being fishing, our daily catch rate diminished abruptly to 2-3 fish per day for about a week. This is very few fish for four anglers spending days in the water. Changing spoons (silver, bronze, gold, red, bright yellow, etc. ), reducing lure size, reeling in slowly and steadily, reeling in fast, changing rhythm, using Rapalas, drifting Gammarus-like flies, adding Fluo Carbon leaders on braided line for a subtler approach, fishing the incoming tide, the high tide, the ebb tide, trying at dusk, etc. – you name it, we tried it. Apparently, fewer sea trout from this small population were around and they were very difficult to fool. Suddenly our initial advance was gone and the pressure was building up as we were 14 fish short of our objective with only four days left. 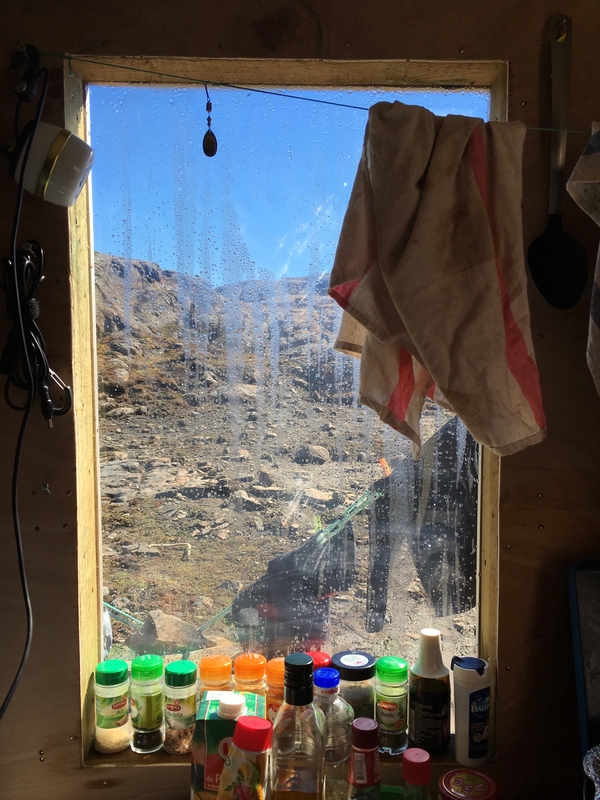 This is when angling becomes exhausting, casting all day, often in cold, wet and windy conditions, coming back to our tiny cabin, trying to make space to dry clothes, centrifuging blood samples, securing data and cleaning lab tools, eating, going to bed, and doing the same thing the next day, and that for a couple of weeks. And for someone who has learned to fish muskellunge on a lake (also known as the hundred-hour fish), and spent quite a few field seasons fishing for Atlantic salmon and sea trout in the cold, I consider myself a patient and persistent angler. But at some point, we had to consider alternative fishing methods. With a little imagination and some Norwegian inspiration, we finally managed to tag the last 16, including the last three being caught on the very last day! 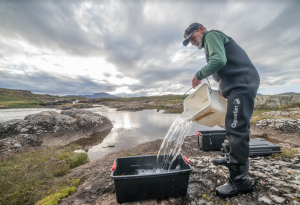 Catching and tagging the 50th sea trout was such a relief – simply pure joy! Hugs and smiles on all faces, we finally did it! It has been quite a journey for everyone involved so this was a moment to celebrate all the hard work and sacrifices: Jacques and Jan who spent Christmas away with their wives and young children last year after La Curieuse got damaged and the project was cancelled; myself who had seen the Marion Dufresne leave port without me in Reunion last year; Philippe who pushed back his retirement plans for the realization of his last scientific ambitions; as well as the many people at the OTN and IPEV who made the project possible. We now have to wait patiently until receivers are recovered in December 2018 by Jacques et al. Fingers crossed! As I am writing, we have survived the 11 days, 3500 km, journey back on La Curieuse and I am now settling back to normal life in Halifax. 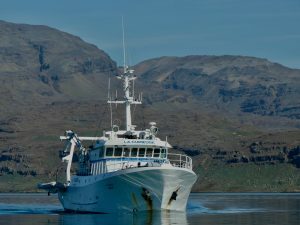 A 25 m trawler against the Southern Seas, this was an adventure in itself. The contrast with the Marion Dufresne is enormous and it was a very special experience of life at sea. It was painful at times, mostly very long – progress felt sluggish at 7-9 knots over such a distance with little to do and a limited ability to focus on something other than movies or podcasts – but there have also been many cherished moments such as a festive BBQ in the middle of nowhere when it finally got calmer, or simply staring at the immensity of it all under the warm breeze of the Indian Ocean. Many thanks to the OTN for supporting, once more, such an exciting research project and for this incredibly enriching experience. Hopefully, I have been able to share a bit of the experience and excitement through these communications. There will be more to come in the next few years once we move onto data analysis and publication.